​It's amazing exactly how much one game can alter a narrative on two different sides of the coin. Many thought ​this Steelers team wasn't as strong as previous units, tying the Browns in the early going and yearning for Le'Veon Bell. And other pundits seemed to believe this battle-tested and young Panthers defense could support their versatile offense; after all, did you see what they did to the Eagles? 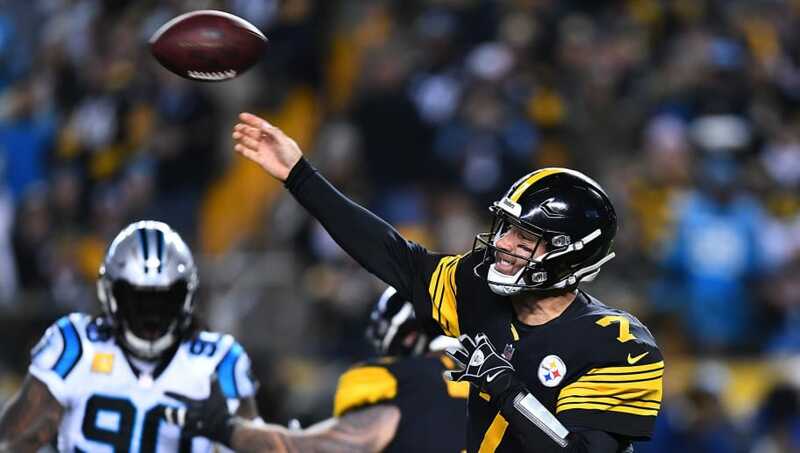 Four quarters later, the Panthers are yesterday's news and the Steelers are booking hotel rooms in New England for mid-January, telling the hotel staff to guard the fire alarms, if they wouldn't mind. So what changed? Everything Pittsburgh did looked strangely electric on Thursday. It all seemed to gel. No third down went unconverted. It was rhythm becoming perfection at every turn. And yes, there's more to come. ​​Josh Dobbs and Jaylen Samuel, you guys handle the entire fourth quarter. We'll be fine. After all, we already set a Heinz Field record for offense by the beginning of the period. Perhaps Todd Haley turned this one on? Just to check it out? Steelers fans are rightfully ecstatic tonight. Long a franchise known for defensive stalwarts, stability, and timely offense, they now also possess the most accidentally-potent offense in the league. After all, this wasn't even supposed to be the year this all worked. This was supposed to be a regression. 1-2-1 was supposed to portend some sort of nightmare season to come (sorry, Bill Simmons!). Now, suddenly, they have the offensive firepower of the Chiefs with much more experience mixed in. This wasn't just a preview. This was the full menu. Even an Artie Burns PI in garbage time, which will surely send him back to the bench, couldn't mar this one. Don't say we didn't warn you. This was improbable, impressive, and somehow also completely expected. This new-look Steelers team made a statement on Thursday: they can do it from everywhere you look.